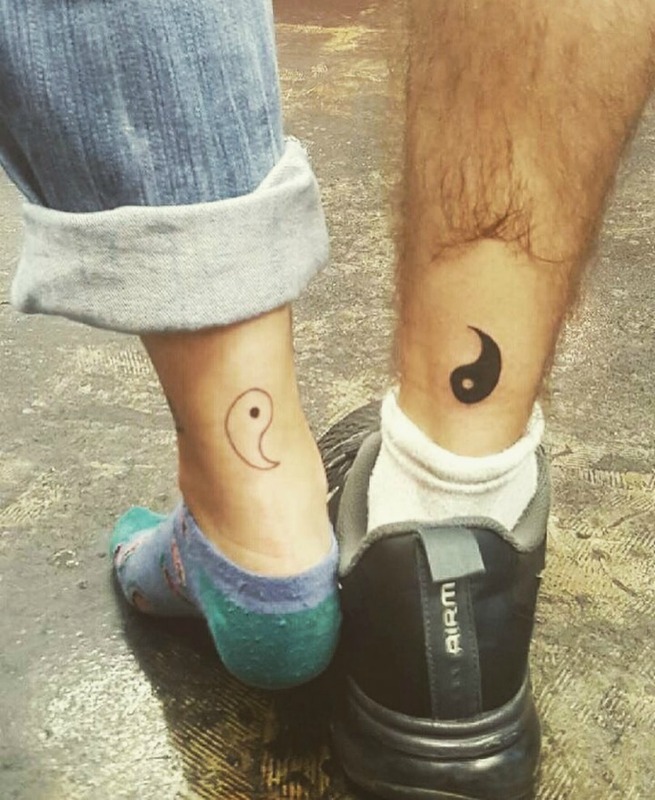 If you’re in search of tattoo inspo, you’ve come to the right place. Hollywood has clearly caught a raging case of ink fever, because a slew of stars got new tattoos in 2017 — some for the very first time (here’s looking at you, Neil Patrick Harris). Whether your style is whimsical or modern, minimalist or grandiose, you’ll find no shortage of ideas among these recently inked entertainers. In fact, some celebrities were so ink-stoked that they got more than one tattoo this year. From Miley Cyrus’ paw-some design to Harris’ unfortunate choice, celebrity tattoos did not disappoint. So, exercise caution as you continue clicking through. If you’ve already been itching for new ink, the following Tinsel Town tattoos will only make your case worse. Don’t say we didn’t warn you! 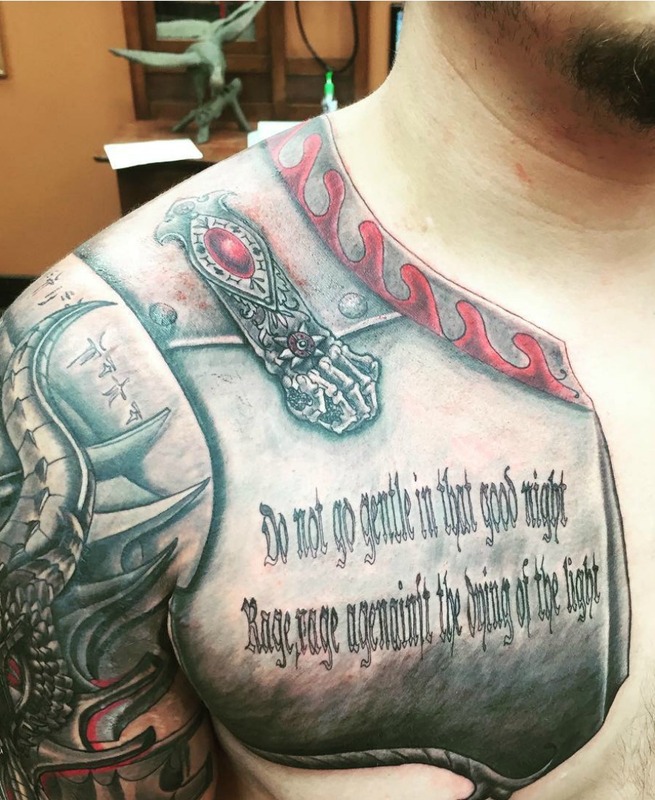 But if you’ve been on the fence about getting ink and needed a little push, consider yourself shoved, my friend. To be fair, Beyoncé’s ring finger tattoo isn’t entirely new. The Lemonade singer and husband Jay-Z previously had the Roman numeral IV tattooed on their left fingers — a nod to the number four’s significance in their relationship. So, when it became clear in late September that Queen Bey had altered the original tattoo by adding lines to it, the internet lost all chill for fear it meant Bey and Jay’s marriage was doomed. 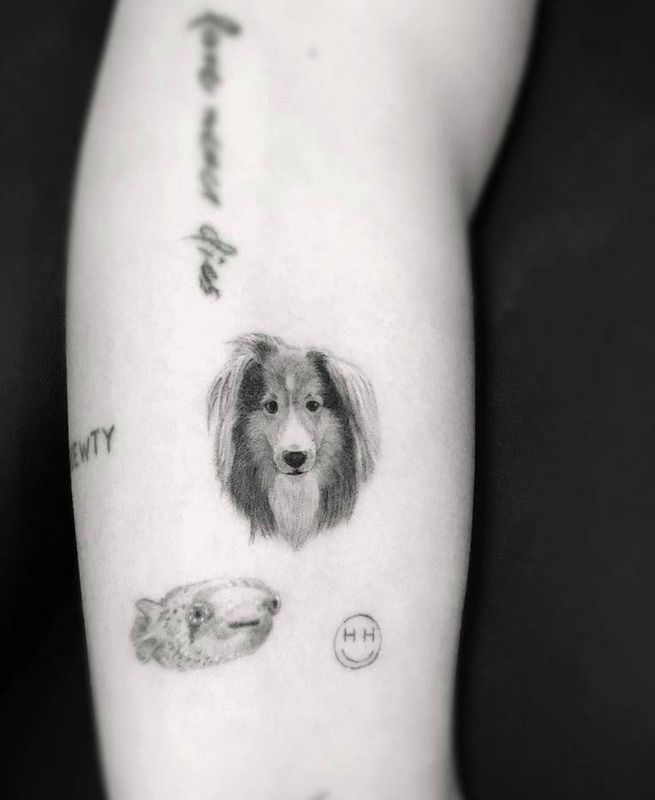 It’s common knowledge that Miley Cyrus considers her pets part of the family, and her latest tattoo perfectly illustrates the point. In April, the pop star had tattoo artist Dr. Woo immortalize her Shetland sheepdog, Emu, by etching the young pup’s face onto Cyrus’ arm. In addition to her fur babies, Miley Cyrus adores her human family — and she’s a total Daddy’s girl. 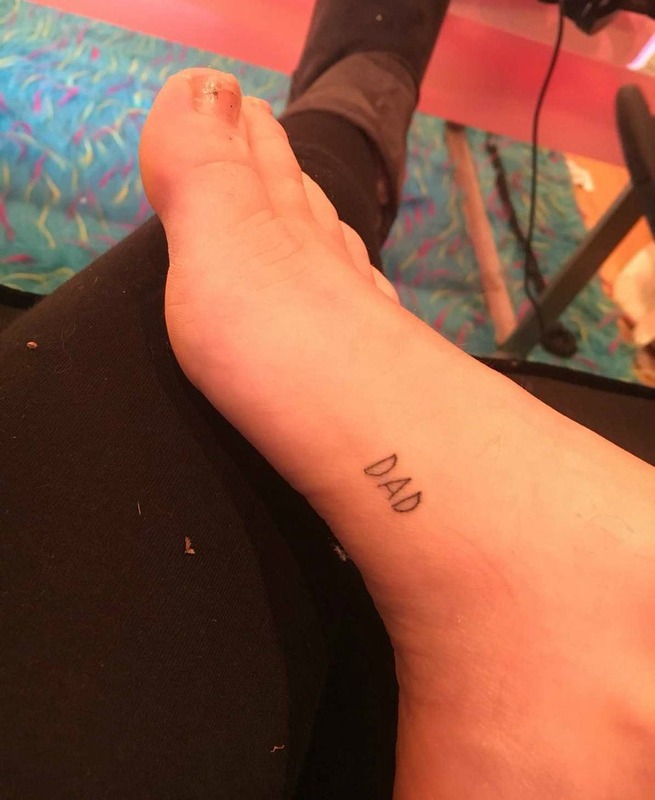 To honor her dad, Billy Ray, the singer added a simple “Dad” tattoo to her growing collection. It didn’t make Billy Ray’s heart achy breaky, either. In fact, he took to Twitter to dub it the best tattoo he’s ever seen. Consider Drake officially Denzel’d. 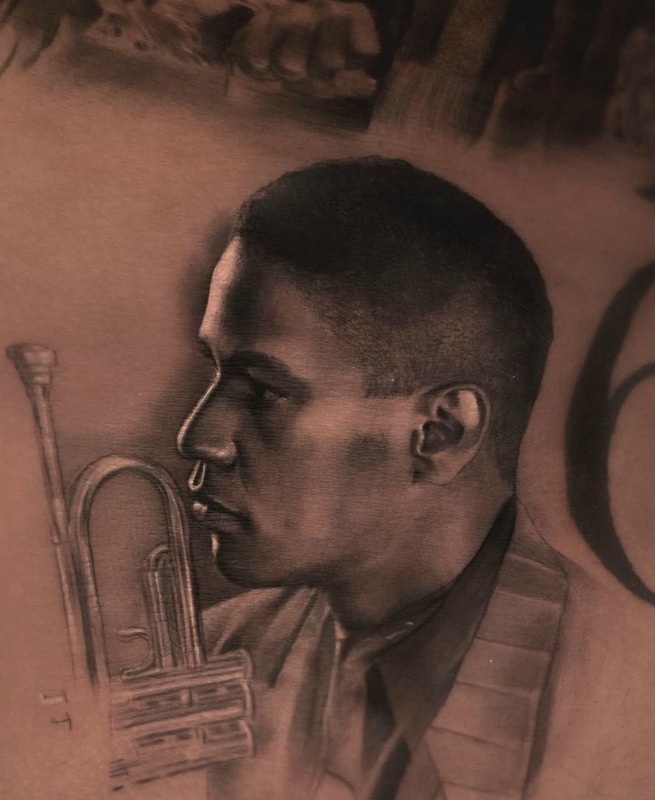 In September, tattoo artist Inal Bersekov shared a photo of the rapper’s newest tattoo: a portrait of young Denzel Washington in character as jazz musician Bleek Gilliam in 1990’s Mo’ Better Blues. In addition to Washington, other famous faces adorning Drake’s body include late R&B star Aaliyah and mentor Lil Wayne. In July, Paris added to her rapidly growing tattoo collection by hitting up Tattoo Mania in West Hollywood. 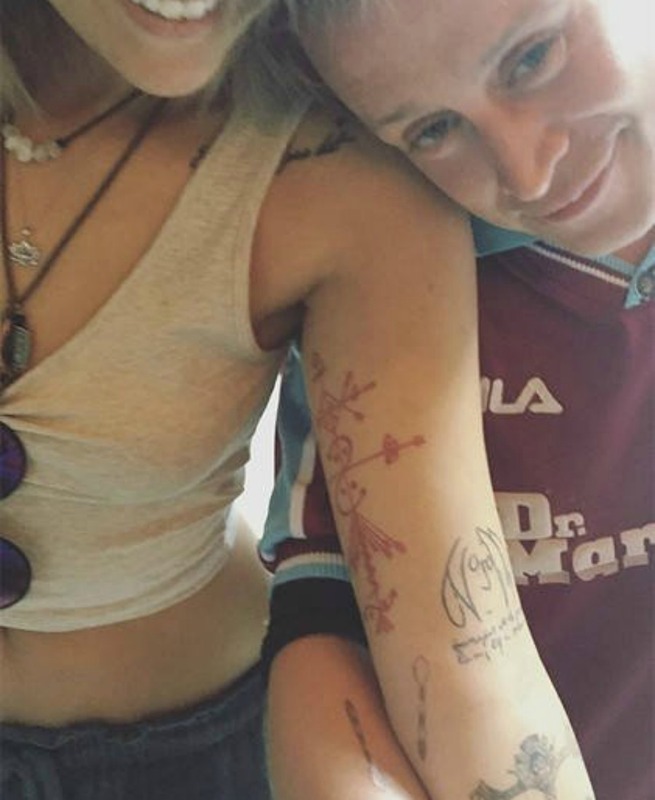 But, once again, she opted for a twinsies-style matching tattoo — this time with her godfather, Home Alone actor Macauley Culkin. The pair got matching spoons, which reportedly represent the struggle of chronic illness. Prince paid tribute to his King of Pop dad in April by getting a permanent homage inked on his calf. 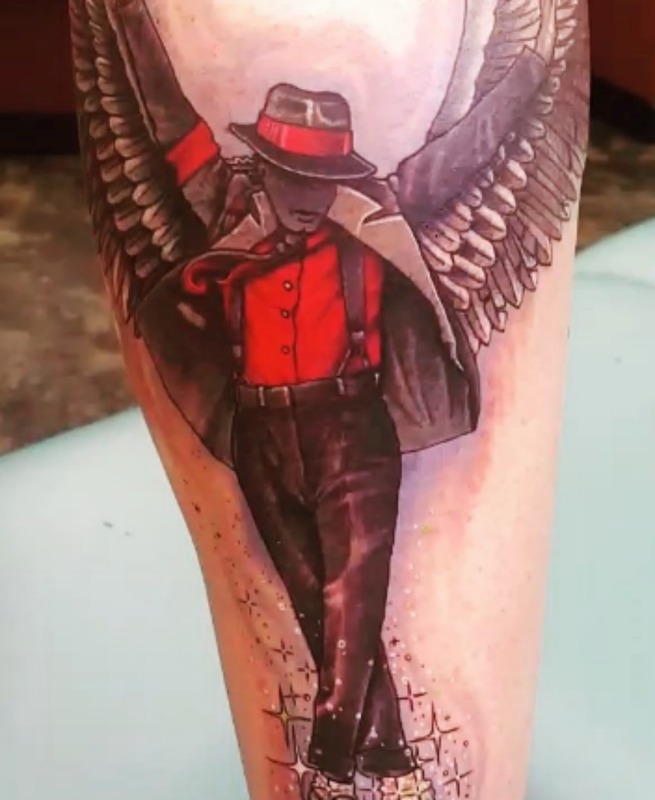 The tattoo features Michael Jackson in his iconic red shirt, black suspenders look, flanked by oversized angel wings. 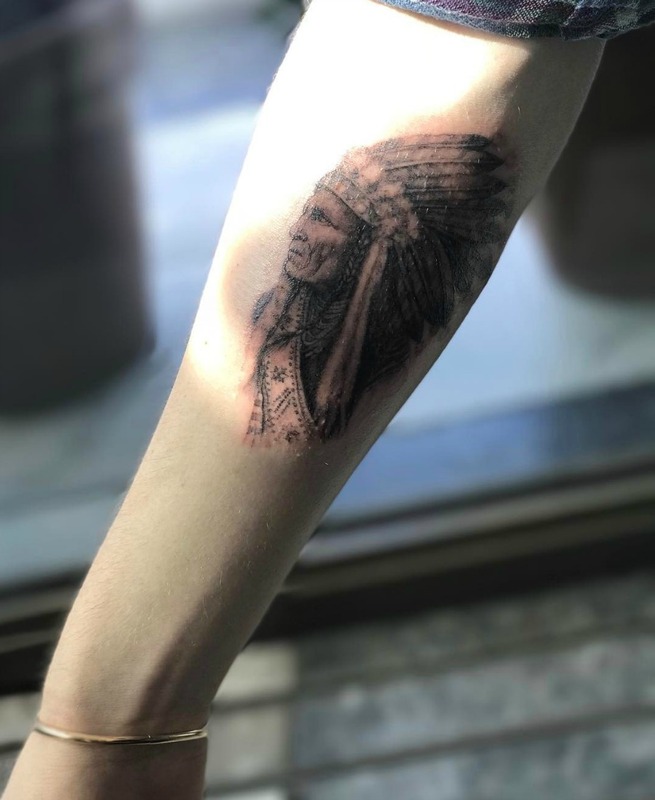 Supermodel Bella Hadid got her second tattoo (total) this summer, and it’s just about as trendy and millennial as you can get. She turned to popular Bang Bang Tattoo to outfit her with a tiny rose tattoo on the back of her arm. Hadid, who also has a set of small angel wings on her ankles, is clearly killing the subtle tattoo trend. 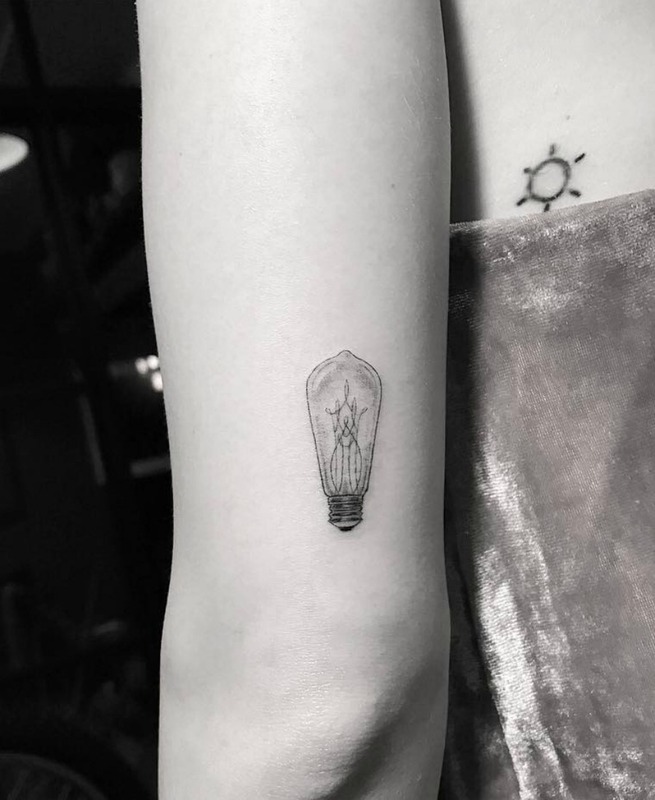 We know we shouldn’t play favorites, but we couldn’t love Lucy Hale’s vintage Edison bulb tattoo any more if we tried. Dr. Woo gave Hale the fresh ink in June, just as Pretty Little Liars came to an end. And while we don’t know its meaning for sure, it could stand for the bright things Hale’s future holds. It’s been a rough year for Flip or Flop‘s Christina El Moussa, so it’s only natural that she’d want to focus on what matters most: her family. 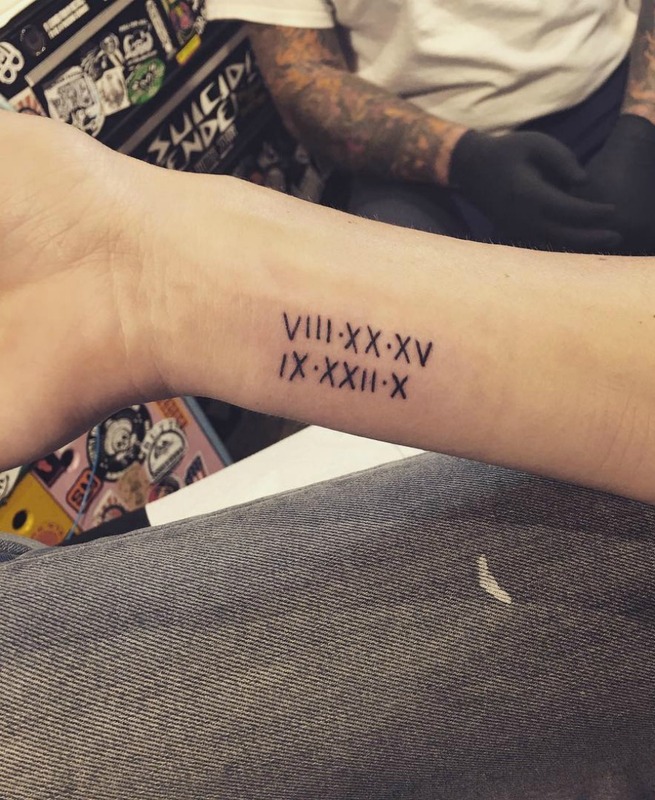 In May, the HGTV star revealed a new forearm tattoo featuring Roman numerals for each of her children’s birthdays. 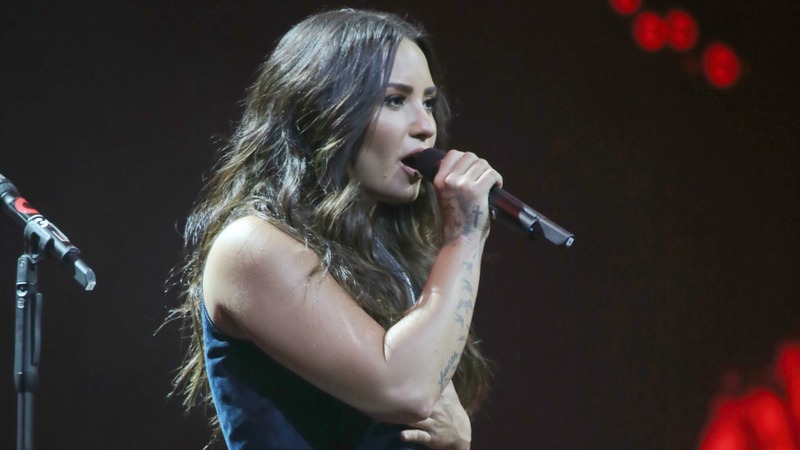 Demi Lovato loves her some ink, and her latest tattoo is especially fierce. 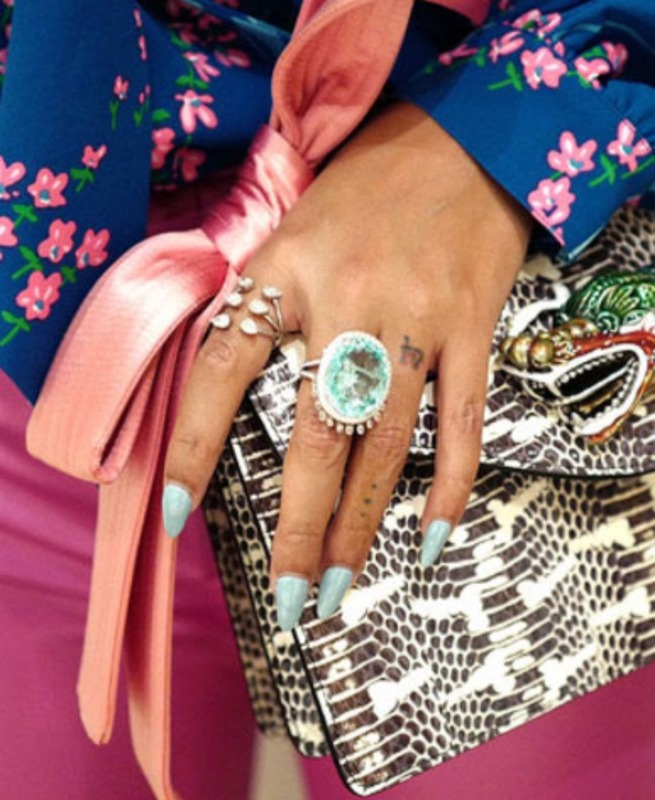 Turning to celebrity studio Bang Bang Tattoo, the powerhouse singer decided on a regal lion to live on her left hand. In total, that brings Lovato’s tattoo count up to 21. Soccer phenom David Beckham has a penchant for getting inked, and son Brooklyn seems to be following in his famous dad’s footsteps. In April, the 18-year-old posted the entire process of getting his first tattoo on Instagram. His choice? A Native American chief topped with a traditional headdress. 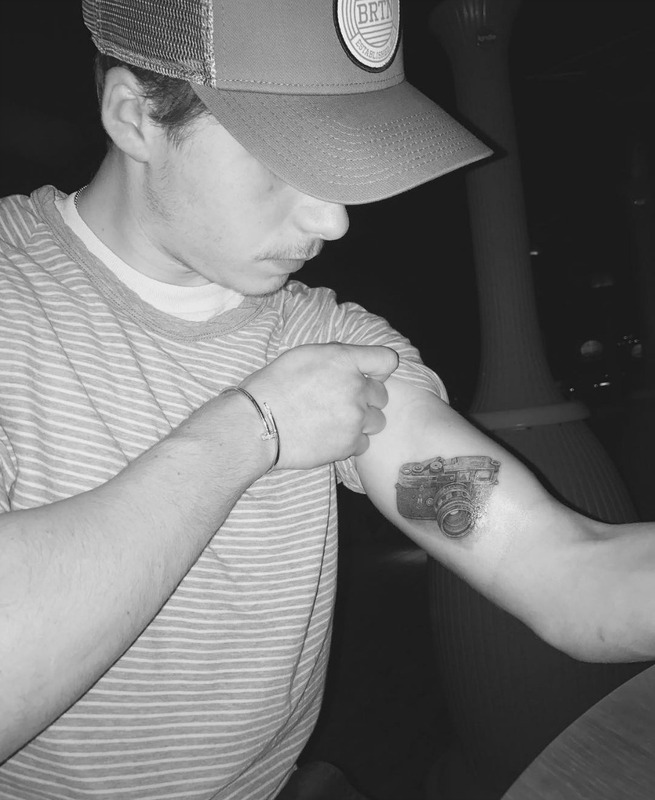 Only one week later, the aspiring young photographer showed off a second tattoo: a camera. In April, 13 Reasons Why stars Tommy Dorfman and Alisha Boe, along with executive producer Selena Gomez, got matching semicolon tattoos as part of the viral movement Project Semicolon. Founded by Amy Bleuel, who recently took her own life, the initiative is dedicated to the prevention of suicide. Justin Bieber’s latest tattoo features a giant bald eagle sprawling across his lower stomach, just between two other tattoos (“Son of God” and “Purpose”). The ink might look familiar — Rihanna has one almost just like it on her chest. Interestingly, the Biebs added a second tattoo to his summer tally… and this one may ring a bell, too. On his chest, Bieber got a lion head wearing a crown. 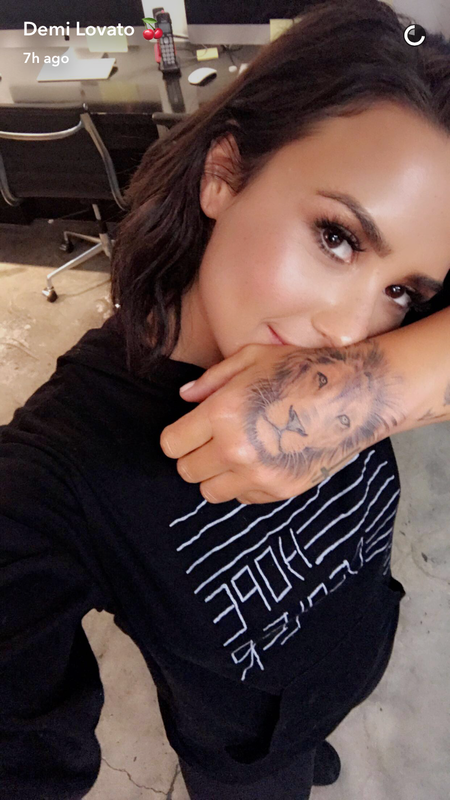 Upon revealing the photo on Instagram, he captioned it, “Lion heart.” If you feel like you’ve seen it before but can’t place it, scroll back to Demi Lovato — the same tattoo studio, Bang Bang, created a realistic-looking lion head (sans crown) for her hand. Neil Patrick Harris also got his first tattoo in 2017. In March, he opted for ink to commemorate a bit of good news. “We got picked up on Season 2 of A Series of Unfortunate Events. I got this to celebrate,” Harris explained on Instagram. 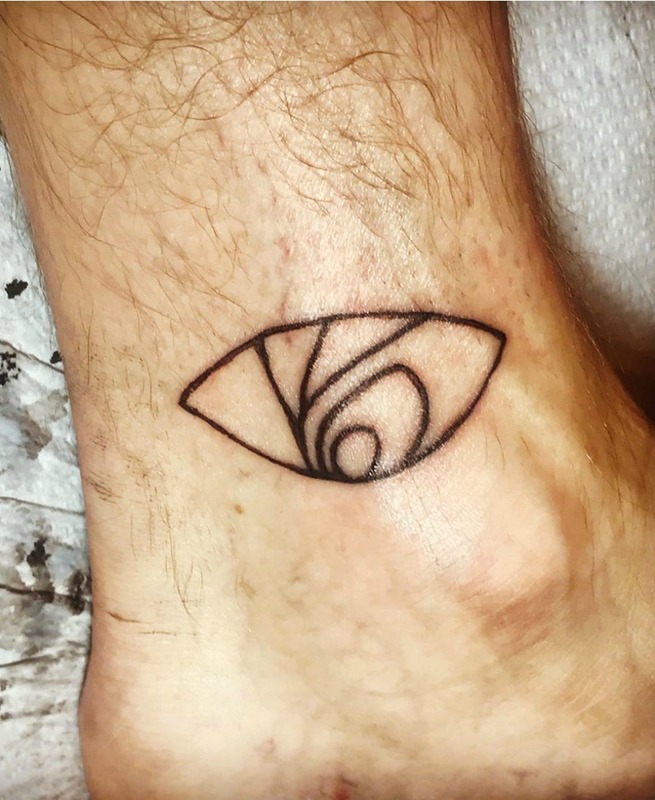 The tattoo mimics the one his character, the evil Count Olaf, has on his ankle.